I tried to find some recipes that were local to the 2 Super Bowl teams for this year….Denver and Seattle. I couldn’t find any recipes that stood out to me for either region…in fact I couldn’t even find a good base food to even come up with a recipe. Salmon and other seafood and some fresh fruit for Seattle, none of which screamed FOOTBALL to me! And Denver…..3 WORDS….Rocky Mountain Oysters. Not touching that one, literally or figuratively. 🙂 If you don’t know what they are…….look it up! 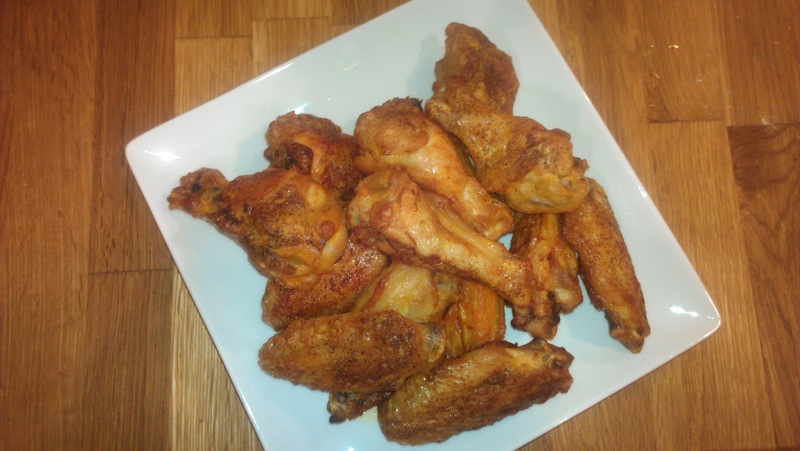 So let’s stick with Buffalo Wings…now that screams FOOTBALL!!!! 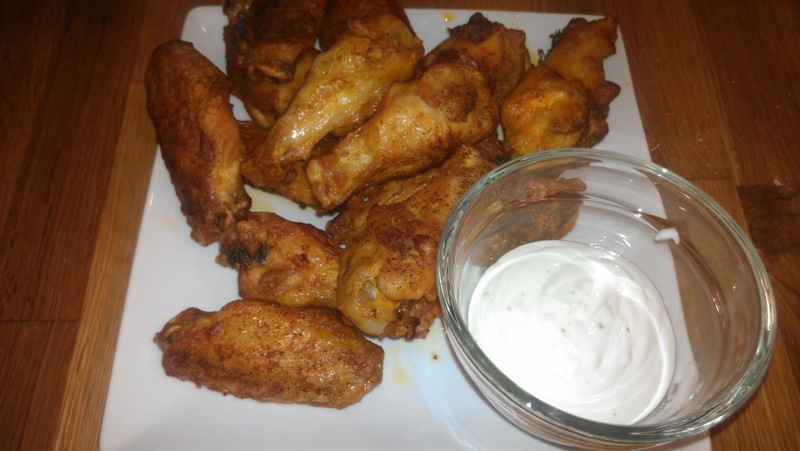 This is a very simple buffalo wing recipe and it’s delicious if you like a more crispy, not wet wing. I tend to like them better this way….so if you do too, give them a shot! Serve them up at your Super Bowl party with some blue cheese dressing and celery and enjoy! Place wings on a foil lined baking sheet. Make sure to leave space between wings and use 2 baking sheets if needed. Salt and pepper wings to taste. Cook for 30-40 minutes until cooked thru. In a small pot ob low/medium heat whisk together butter and hot sauce. Remove chicken from oven and toss in butter/hot sauce mixture. Put coated wings back on baking sheet and in oven for another 5-10 minutes. Remove and serve with blue cheese dressing and celery.